How Is an Alcohol Breath Analyzer Installed on My Vehicle? 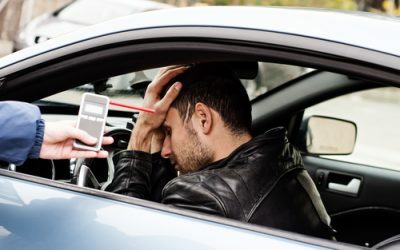 If you’re reading this, you or a loved one has probably been convicted of DUI or DWI and the court ordered you to get an alcohol breath analyzer, also known as a car breathalyzer or ignition interlock device installed on your vehicle. It’s not the end of the world, and installation is relatively easy. That being said, it is not a do it yourself job. State laws require that the ignition interlock device (IID) be installed by a certified installer. A professional installer is also the only one who is allowed to remove the IID. Tampering with it or trying to remove it yourself can lead to increased penalties. ALCOLOCK is a pioneer in ignition interlock devices, and our friendly staff will help guide you through the process of installation and monthly maintenance checks to help you comply with the program and court requirements. 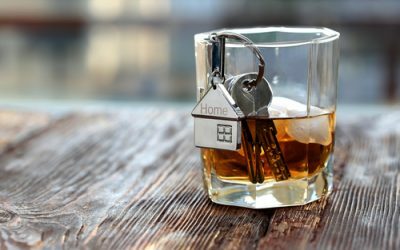 The first step in getting an alcohol breath analyzer installed on your vehicle is to locate the service center nearest you, and then call and speak with one of our staff or use the quick install form to schedule an appointment. Once we have verified with the courts that you are eligible for the program, we can schedule your installation within 48 hours. On the day of your appointment, you’ll bring your vehicle in (or have someone drive you over) and our technicians will get to work. Most installations take about one to two hours. This time includes the actual installation, as well as training you how to use your ignition interlock device properly. The device you will be using is a handheld device, that you will blow into before starting your car, and at random intervals while you are driving. ALCOLOCK’s ignition interlock devices are about the size of an old style cell phone. You can bring them inside overnight, if you wish. Installation involves the technician accessing the electronics of your vehicle so that the handheld device can communicate with your vehicle. Specifically, the technician will install an Electronics Control Device, or ECU. This device connects to your vehicle’s starter. The handheld device is what you blow into to record your breath alcohol content (BAC). At your installation appointment, you will need to blow into the device so the technician can calibrate it. You should make sure you do not consume any alcohol or use any mouthwash. The ALCOLOCK uses fuel sensor technology to detect alcohol on your breath, and it is incredibly accurate. At your installation appointment, you will also receive comprehensive training in how to use your ALCOLOCK ignition interlock device, so that you understand what all of the sounds and displays mean. On screen instructions make it easy to use. You will need to blow into the device each time you want to start your vehicle, and at random intervals while you are driving. The device will give you an on screen and audible warning before a retest is necessary. This will give you time to pull over to a safe place before taking the test. If you choose to do a rolling retest and fail, the device will not shut down your vehicle in the middle of the road, but it will register and report the violation. When the engine is already off, if you pass the test, you will be allowed to turn the ignition and start the car. If you fail because your BAC is above the preset limit, the device will disable your vehicle, and you will not be allowed to start it. Depending on your state, the device will shut down your vehicle for a few minutes, anywhere from 5 to 30 minutes. After that time has elapsed, you will have another opportunity to take the test. If you pass, you can start the vehicle. If you fail again, the device shuts down your vehicle for a longer period of time. This process will repeat until you are able to pass the test. During your training, the technician will go over all of this in detail with you, as well as go over some troubleshooting tips and information pertinent to the rules and regulations in your particular jurisdiction. By law, you are required to have your technician check your device monthly, and recalibrate the device as necessary. For your convenience, your device will send you appointment reminders. If you forget or have to miss your appointment, call us as soon as you can to reschedule. You should know that with 5-7 days after your missed appointment, your ignition interlock device is programmed to enter lockout mode. The only way to avoid having your vehicle towed to a service center is to get those maintenance visits done on time. ALCOLOCK is committed to helping you complete your ignition interlock program successfully. We’re your partner as you work to earn your driver’s license back and get your full driving privileges back. Call 866-700-9300 with questions, or use our contact form to schedule an installation.